visa applications and citizenship assistance for foreign clients. application on your behalf so that you are waived to appear personally at the Immigration Bureau. Support foreign nationals for obtaining new visas, permanent residence and work permits. Support foreign nationals for the process of naturalization to acquire Japanese nationality. 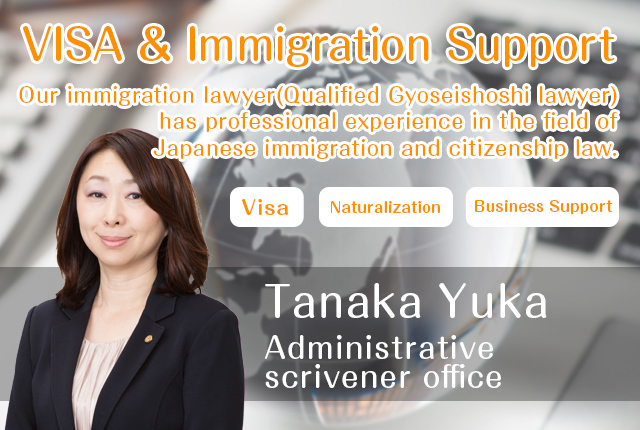 Support foreign nationals for employees transferees, entering the Japanese market, and obtaining temporary visitor visa. Please contact us using the form below at any time. Your personal information is protected and used by laws under the Gyoseishoshi Lawyer Act. It is voluntary and your decision to provide your personal information, however, please be aware there might be some difficulties to pursue your immigration procedure if not enough personal information is given. 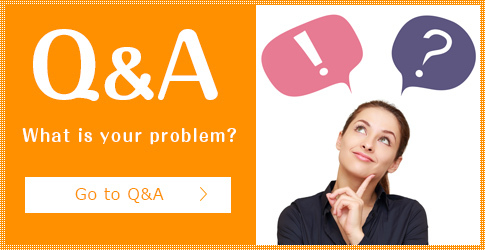 We will keep your information secure and will not disclose it to any third parties. There are some situations where we may disclose your personal and other information without requesting your consent as we reserve the right to disclose your personal information. © 2017 Tanaka Yuka Law Office All Rights Reserved.